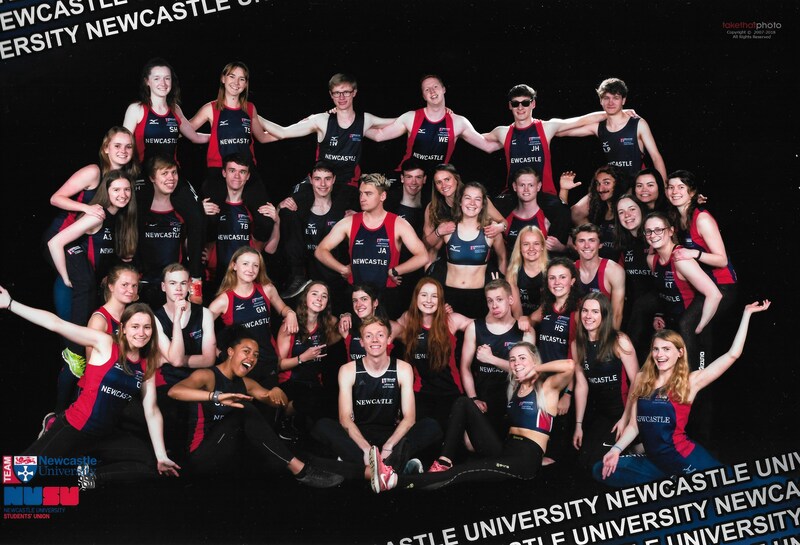 We are the Newcastle University Athletics and Cross Country team. We cater for all disciplines and distances by offering high quality regular team training. We train at Gateshead International Stadium, Newcastle University Sports Centre, the Town Moor and Jesmond Dene. We have highly qualified coaches who help our athletes to progress. As well as offering training sessions for those that want to race and compete, we also offer training for those that want to run to keep a high level of fitness or to train socially. The club is open to all Newcastle University students and we encourage our Athletes to attend a variety of different training sessions; especially our middle distance runners. We are an England Athletics registered team and regularly compete against other clubs and universities. We enter all national BUCS competitions, which consist of a cross country race, an indoor athletics meet and an outdoor track and field competition. The club has a rich history dating back to the 1960s. Back then the club only existed as a cross country team called the ‘waders’. The Athletics Club was founded in the 1970s.